John & I belong to Jaffurs Winery in Santa Barbara. On Tuesday night, we were invited to Cecco Ristorante in Solvang for a 5-course meal that included a glass of Jaffurs wine with each course. The food was incredible and magical with the wine pairings. One course we particularly liked was a potato and goat cheese ravioli with saffron cream sauce topped with crab meat. 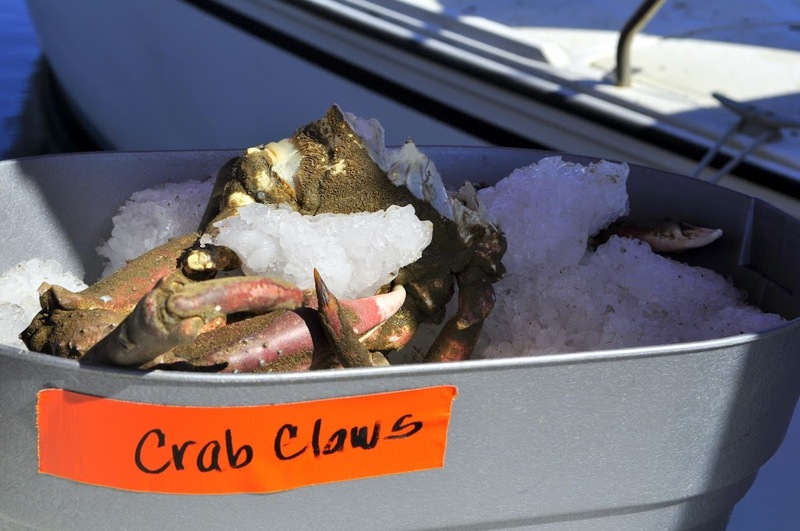 We had 4 large crab claws in our refrigerator that I bought from Fresh Fish Fanatics at the Channel Islands Farmers’ Market, so John was inspired to create this delicious dish. Steep 1/4 teaspoon Saffron threads in 2 Tablespoons boiling water. Steam 4 large Crab Claws for 10 minutes. In a medium skillet, saute 2 finely diced Shallots in 4 Tablespoons Butter over medium heat. Simmer until reduced by half – about 15 minutes. 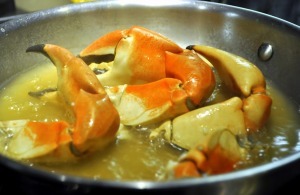 While the sauce is thickening, crack Crab Claws and extract meat. Then, stir in Crab Meat. Rinse 8 Sea Scallops, pat dry, and sprinkle with Sal & Pepper. 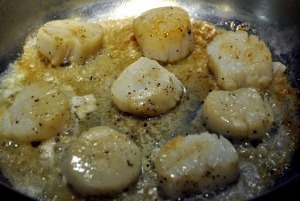 Sear Scallops in 2 Tablespoons Butter over medium heat for 2 – 3 minutes on each side. Place Scallops in dish, and pour Saffron Cream Crab Sauce over the top. Remove from heat and let stand for 5 minutes. Stir before serving. 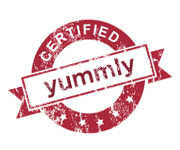 I first tried scallops while I was studying in New England and I loved them! Lately I am able to find them here in Greece too but they are quite expensive so I don’t eat them very often! This is a beautiful dish and I am keeping it to try it when I will buy scallops. 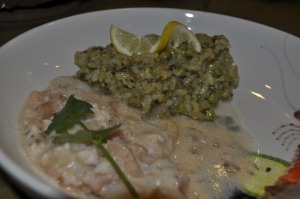 I am also a big fan of risotto! Susan, Such a lovely dinner! Perfect for this time of the year…scallops are my favorite! The photo of the risotto is wonderful! Happy St. Paddy’s Day! this is such a gorgeously decadent meal! Every aspect sounds so tasty. 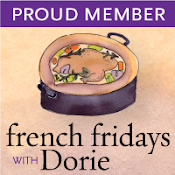 wow, Susan – this dish certainly lives up to the name of your blog, wish I could be a mouse at YOUR house! 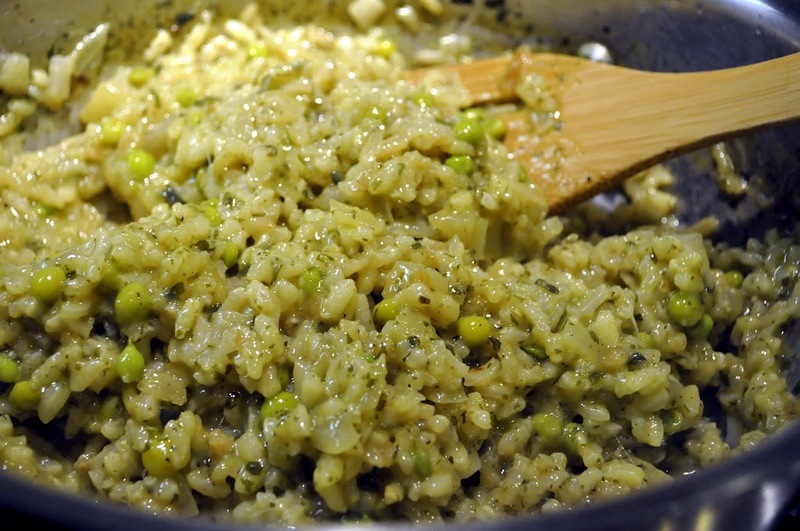 I love risotto but I’ve never tried risotto verde. 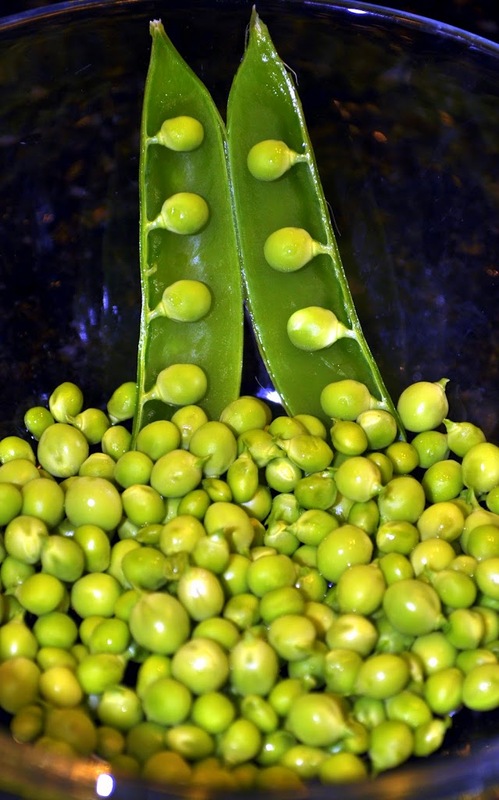 Sounds delicious with the herbs and fresh peas!